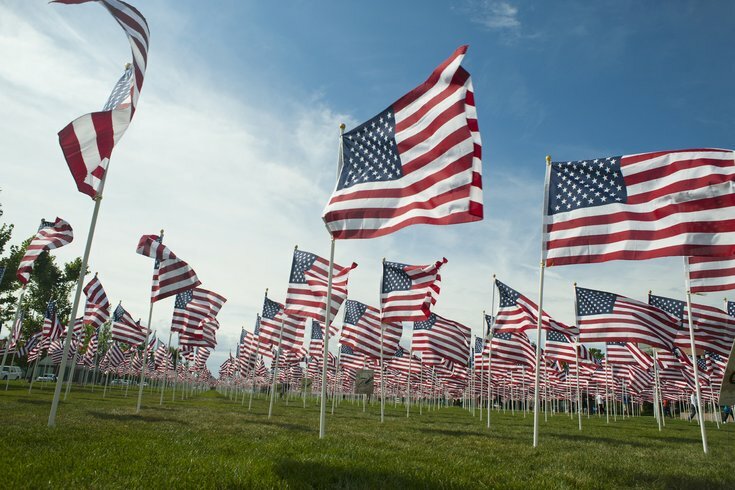 Though Memorial Day officially honors those who have fallen while serving in the country's armed forces, the day is also seen as the unofficial start of summer. Throughout the Philadelphia region, ceremonies and events will be held from Friday, May 22, to Monday, May 25, to remember those lives lost as well as celebrate the new season. While many will head down the shore for the long weekend, there will still be plenty to do within the city limits and the 'burbs. Be sure to check out the local fun between barbecues. Kids can celebrate their favorite heroes all weekend, joining local "Special Help Heroes" like firefighters and physicians. Superheroes from The Heroes Alliance will make appearances, too. Spruce Street Harbor Park, the city's favorite seasonal space, reopens for the summer season just in time for the holiday weekend. The waterfront's latest attraction, the RiverRink Summerfest, complete with roller rink, is opening, too. RiverRink Summerfest: 101 S. Columbus Blvd. The Tropicana casino has gotten a makeover. Its facade now includes huge LED screens and digital media displays that create a fantastical show for Boardwalk-goers. Its debut will be followed by fireworks. 2831 Boardwalk, Atlantic City, N.J. Weekend craft activities encourage kids to see how U.S. soldiers have made sacrifices by decorating medals of honor. Admission to the National Liberty Museum is pay-what-you-wish on Memorial Day, too. Over the weekend, the National Constitution Center will host flag-raising ceremonies, flag etiquette talks, make-and-take crafts and special tours. Admission will be free on Monday, May 25, but tickets should be reserved in advance. Sesame Place will host a few special barbecue meals for guests over the weekend. The cookout in Big Bird's Pavilion will include seasonal classics like burgers, hot dogs and baked beans. At 9 p.m. on Saturday and Sunday, fireworks will go off set to Sesame Street music, too. Independence Mall will be filled with free events like "Living History: Meet the Patriots," a two-hour American Revolution display, a concert of music from the Revolutionary and Civil Wars, a free walking tour and a holiday ceremony. The curated flea market of upcycled, vintage and handmade goods returns to Headhouse Plaza for its second summer date. A day of family-friendly activities will focus on the culture of people from the African Diaspora and their cross-cultural connections to those of the Asian Diaspora. Music, dance and crafts will be featured. This special performance by the Philly POPS is sure to sell out. The night's program includes a mix of Broadway and patriotic tunes and features vocalists Klea Blackhurst, Ross Lekites and Kathryn Guthrie. The Grand Army Meade Post #1 will be recreated at the site of the first Memorial Day service in Philadelphia in 1868. A wreath-laying, speeches and honor guards fill out the ceremony.